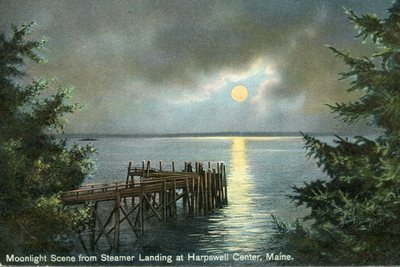 "Harpswell, Maine, Moonlight Scene From Steamer Landing at Harpswell Ce . . ."
An image scanned from a color postcard depicting the steamer landing by moonlight at Harpswell, Maine. Undated.